April 3 @ 3 p.m.
Join the fun and solve the crime! Prizes will be awarded! 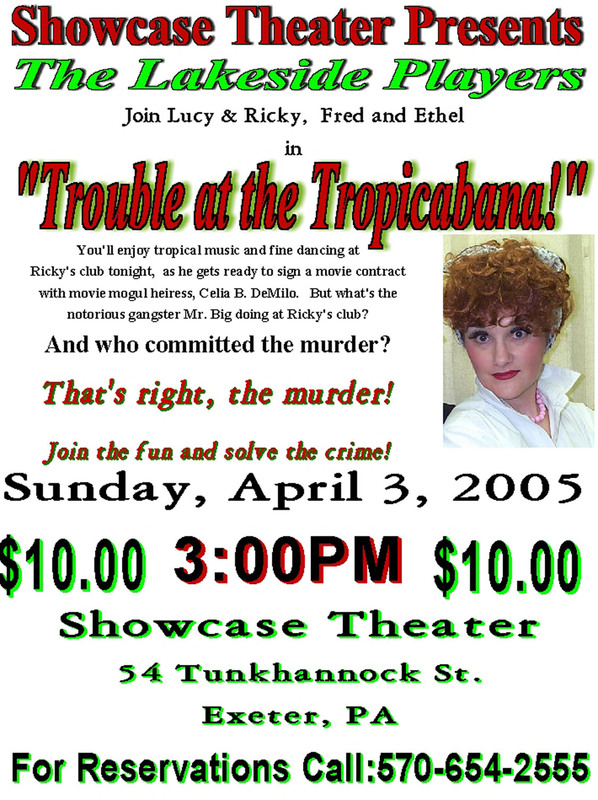 Sunday, April 3, 2005 at the Showcase Theater, 54 Tunkhannock St., Exeter, PA. Tickets are $10.00 /person. Showtime is 3:00 p.m.